Window Awnings, Mooresville, NC | G&S Contracting, Inc.
With 39 years of experience, we are the team to call when you have any questions or concerns about window awnings in Mooresville, NC. 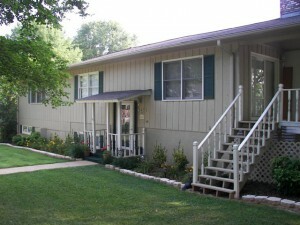 Window Awnings in Mooresville – Window awnings come with a variety of benefits. They are visually appealing and can improve the value of your home as soon as they are installed. You can find awnings in a wide variety of styles and patterns, making it easy to find the perfect option that complements your house. Windows also help trap heat, which means that uncovered windows can lead to higher cooling costs during the summer months. Many of our customers notice that when they sit on a couch or chair near a window in their home, they feel a cold draft or warm breeze that isn’t coming from the vent. When you keep your windows uncovered, you end up spending a lot more each month in utility bills because they allow air to seep through and alter the indoor temperature. Awnings can significantly enhance your home’s appearance and give it improved curb appeal. As you pick new awnings, select colors and fabric options that not only complement the exterior of your home, but also match your personal style. If you want to go with a patterned awning, make sure the pattern is proportional to the size and shape of your home. For instance, wide-striped fabrics may overwhelm a smaller, ranch-style home, while the same fabric may look great with a large colonial home. If the motivation for adding new awnings is to save energy, choose lighter colors that will reflect direct sunlight. For many people, windows provide an easy way to let natural light and fresh air into the space. But as night falls, you will need a way to cover the window for privacy and security. Window awnings provide the cover to the windows that you want, without compromising the visual appeal of the room. Your possessions can also become damaged as a result of constant sun exposure, especially carpeting, rugs, and furniture. If you have items that are in the direct line of the window, protect your investment by closing the awning. 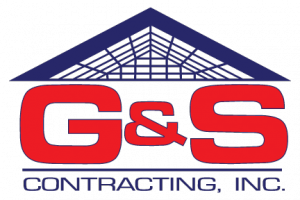 Our team at G&S Contracting is available to install and maintain window awnings in and near Mooresville, North Carolina. With 39 years of experience, we know we are the team to call when you have any questions or concerns about window awnings and related products. At G&S Contracting, Inc. we offer the highest quality Window Awnings to our customers in North Carolina including: Mooresville, Cornelius, Davidson, Huntersville, Charlotte, and Lake Norman, North Carolina.